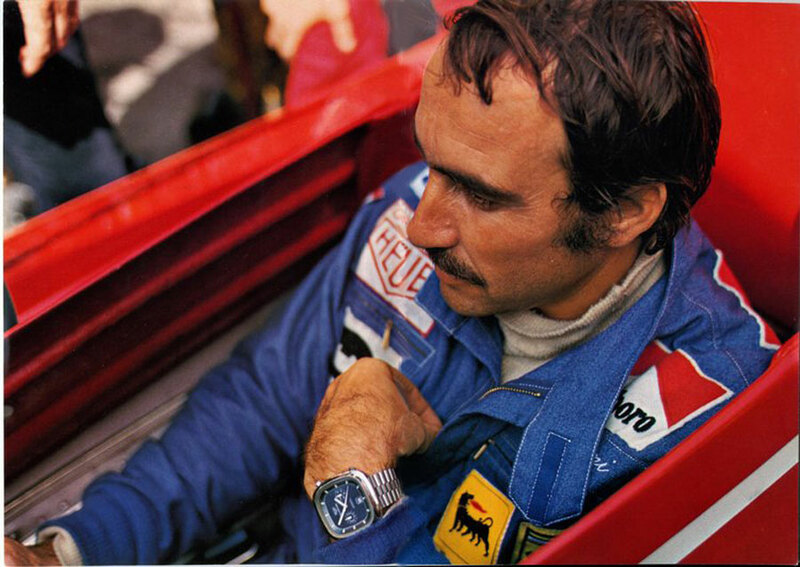 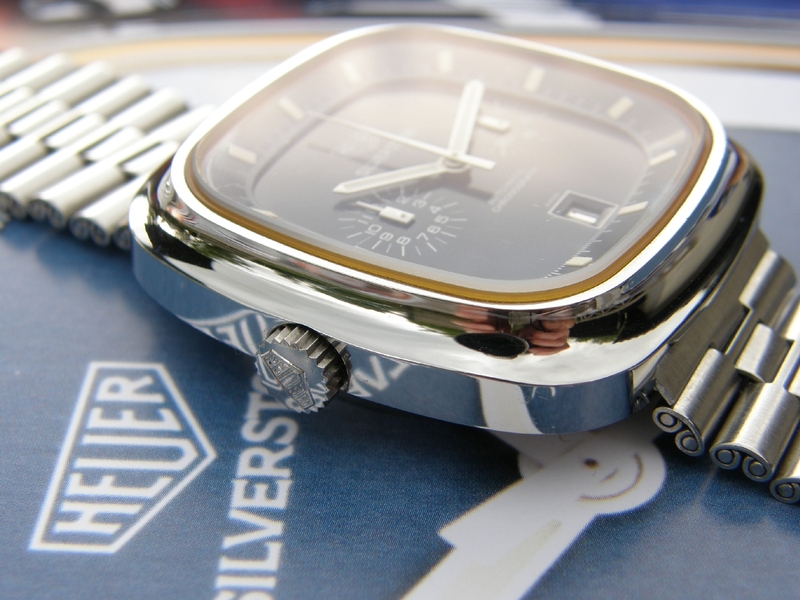 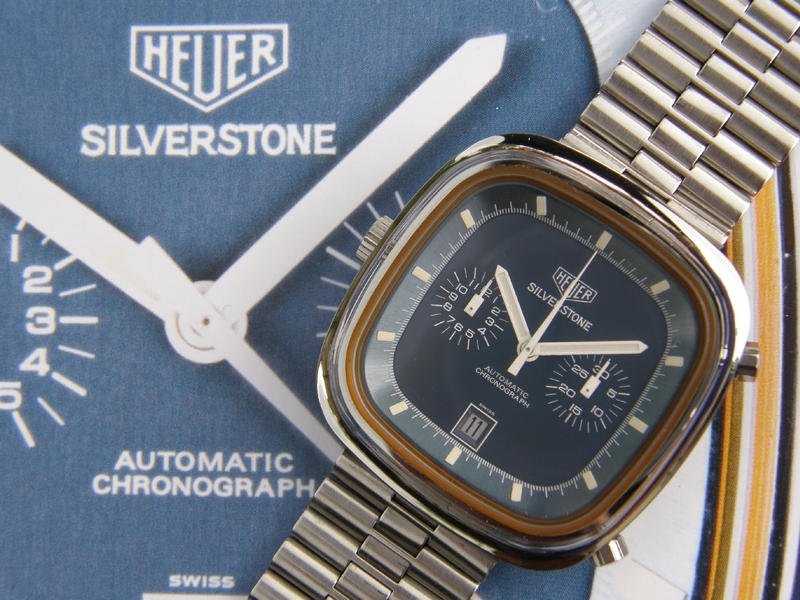 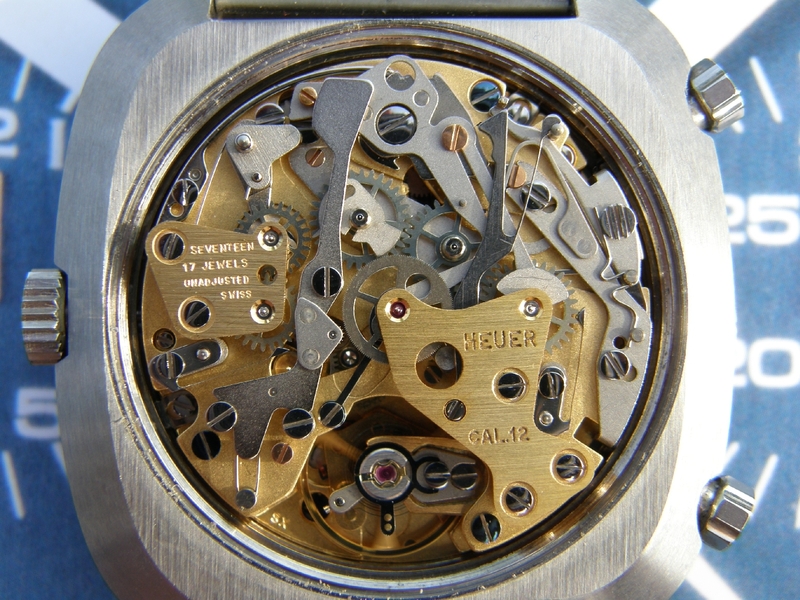 The blue Silverstone is associated with the Swiss Ferrari driver Clay Regazzoni because he wore the watch in a Heuer brochure. 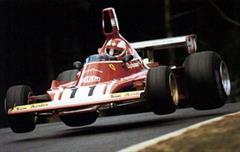 At the time Heuer was sponsor for the Ferrari F1 team. 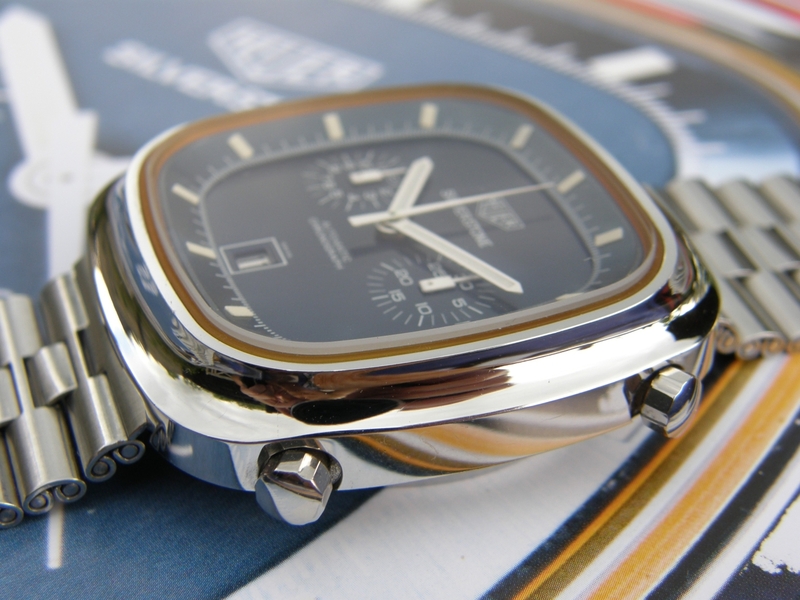 Thanks to the width of 42 mm (without crown) and height of 44 mm as well as the square layout the watch looks very big on the wrist.